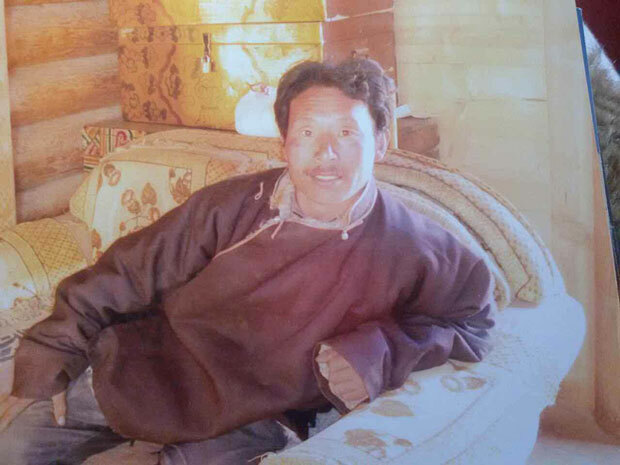 (TibetanReview.net, Feb28’16) – Chinese police have taken away and disappeared a Tibetan man in Karze (Chinese: Ganzi) County of Sichuan Province on Feb 14 after he staged a lone street protest, reported the Tibetan service of Radio Free Asia (Washington) Feb 26. The report said Jamyang Dorje, 41, was held shortly after 11:00 AM on a road leading to Karze County. “He was shouting for the return of [Tibet’s exiled spiritual leader] the Dalai Lama and demanding freedom for Tibet when he reached an intersection of three roads, where he was quickly overpowered and taken away,” the report quoted an unnamed exile source with local contacts as saying. The report said there has been no word on the man’s whereabouts even 10 days after he was taken away. The man has been described as a bachelor and resident of Seshi village, located just across a river that flows near Karze Town. His father and mother, both deceased, have been named Sangye Gyatso and Rigdzin Lhadzom.